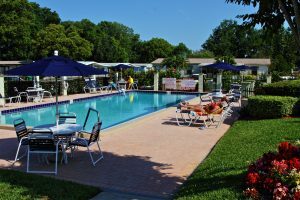 If you’re nearing retirement age, it makes sense that you’d be looking at gated communities for the 55-and-older set in the Orlando, Florida, area. After all, you want to savor an active Florida lifestyle, while also enjoying the peace of mind that comes with gated access. But why not go one better? Hyde Park, an affordable community of manufactured homes in Winter Garden, lets you live far enough away from Central Florida’s premier metropolitan area to enjoy a peaceful oasis at home while remaining a short drive from all that the entertainment mecca has to offer. In addition, we offer lawn mowing services to help you spend your time enjoying an Affordable Florida Lifestyle instead of fussing about your yard. To learn more about how Hyde Park compares to other gated communities in the Orlando, FL, area, contact our Lifestyle Team today.